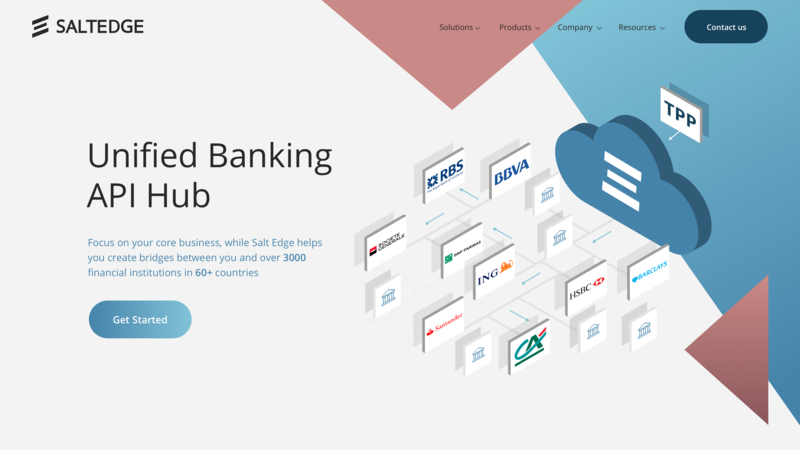 Salt Edge API allows companies to aggregate user’s bank accounts, enrich the data and initiate payments across the EU. One API to connect all the European banks and go beyond it. The Global Data Aggregation API is the pinnacle of Salt Edge’s technology, with coverage of over 3000 financial providers in 60+ countries. It presents companies with the customer’s transaction history in a clean and easy-to-understand format, with the possibility of all transactions being sorted through its Enrichment Platform, which includes personal and business categorisation, merchant identification, financial health check, etc. Aggregate users’ bank accounts with their consent and get balances, transaction data and verify their identity. Initiate payments and transfers from users’ accounts across Europe. Deliver new propositions with potentially lower costs and a better user experience using Open Banking and PSD2 Payment Initiation APIs.